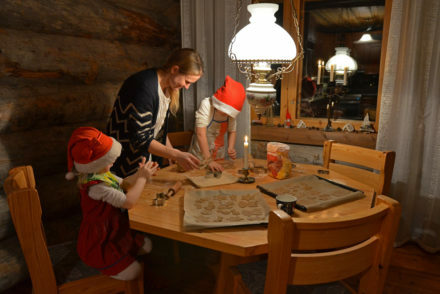 The spoon cookies are Finnish classics, and now I know that there is a good reason for it. I had planned baking them for a long time but finally a good opportunity opened up when our firstborn wanted us to bake some cookies for her birthday. 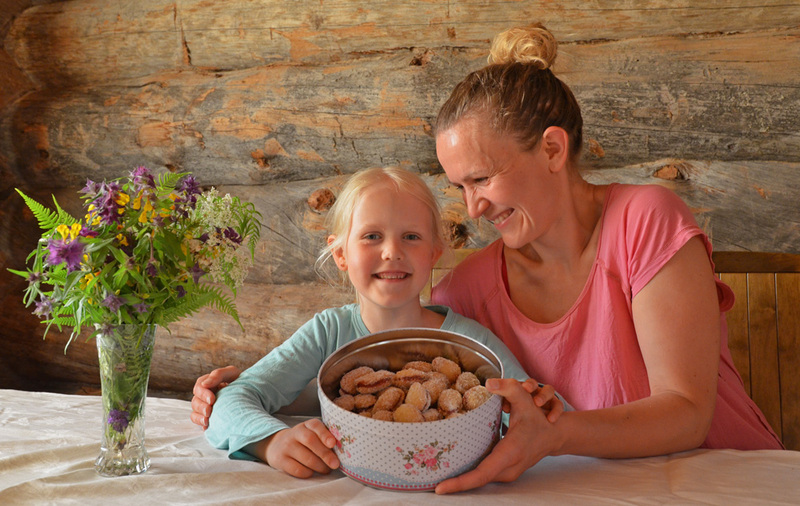 It was time to find out where the amazing flavor of Finnish spoon cookies, lusikkaleivät, comes from. Before I reveal the super simple recipe for these sweet delicacies, join us for a relaxing baking evening, the night before Unna’s birthday party. You can watch this 360° video on mobile by opening this link https://youtu.be/2Y0HnpENGRo in your Youtube App. For the best experience, use Virtual Reality headset and remember to turn on HD! 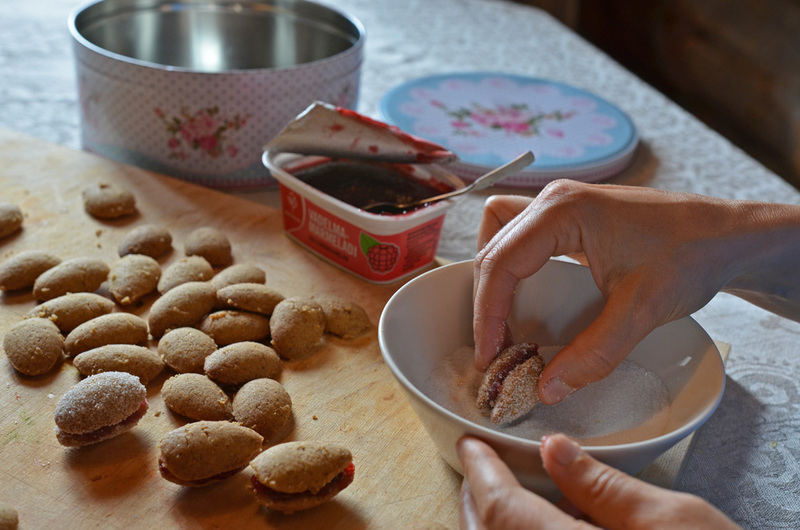 For baking Finnish spoon cookies, you don’t need any machines, which is just great! 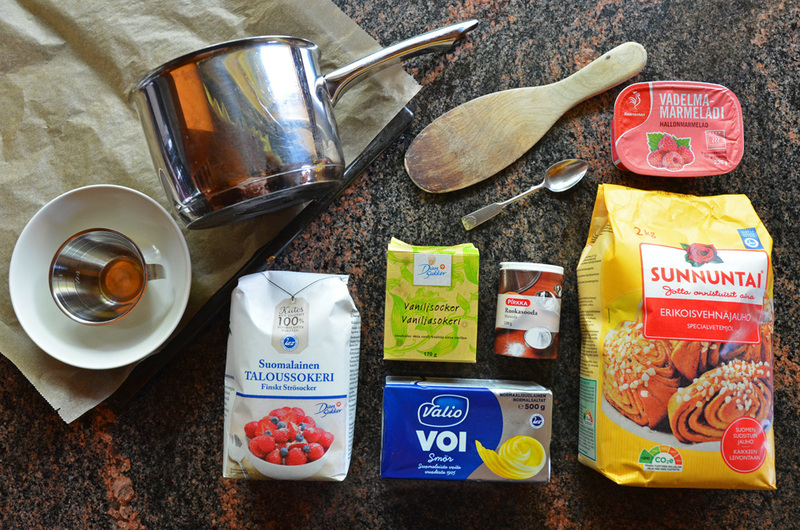 Another great thing is that you need only a few basic ingredients for making lusikkaleivät. A true gem for a recipe: ingredients that are affordable and easy to find. Priceless! 1. Melt the butter in a pan and let it boil on very low temperature for about 10 minutes. Stir occasionally. 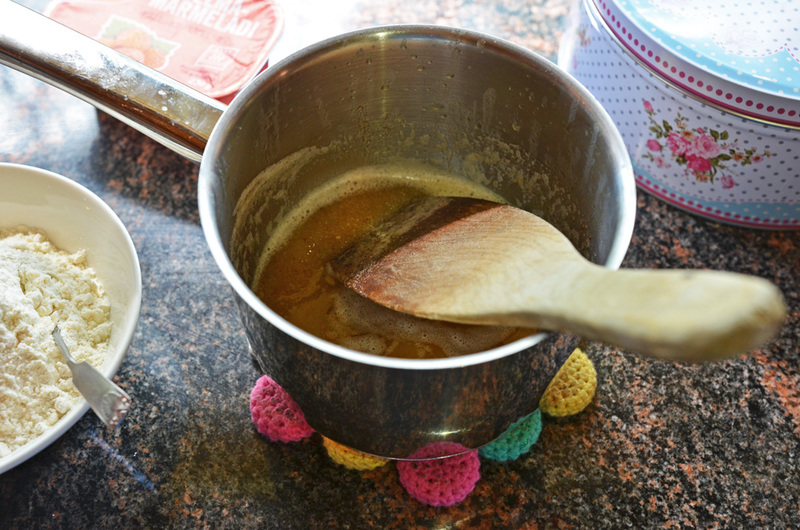 As the butter boils slowly, it develops a delicious caramel smell which adds to the wonderful taste of spoon cookies (plus your kitchen will smell wonderful!). Note! Observe the color of the melted butter as you let it boil. Don’t let it burn because then the taste turns bitter and it will ruin the cookies. When the melted butter turns darker and reddish, it’s time to take the pan off the stove. 2. Measure sugar and vanilla sugar and add them to the melted butter. Mix and let it cool down until lukewarm (about 10 minutes). In the meantime, mix wheat flour and baking soda together. 3. Add the flour mix to the butter-sugar mix and stir until the cookie dough is smooth. With spoon cookies, the spoon is important! The best and the most traditional spoon cookies are made using a tea spoon with a deep bowl. 4. Take a piece of dough and press it evenly onto the bowl of the spoon. 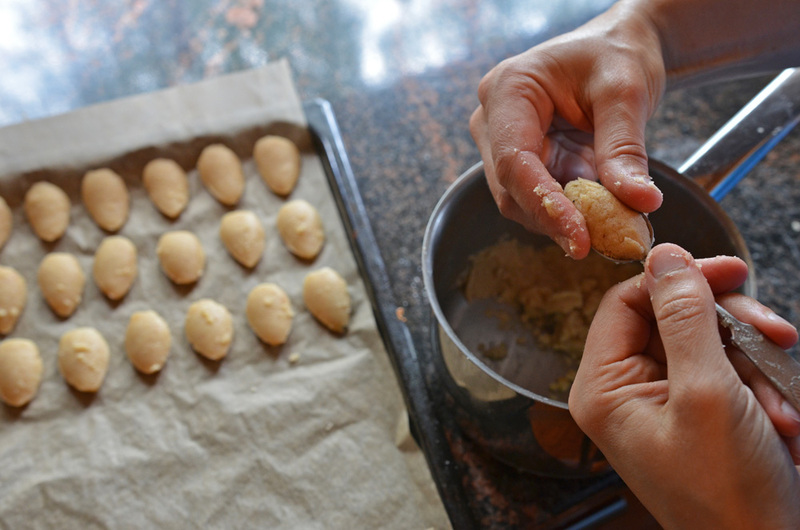 Remove the dough from the spoon and place it on a baking sheet (covered with parchment paper) the round side up. 5. 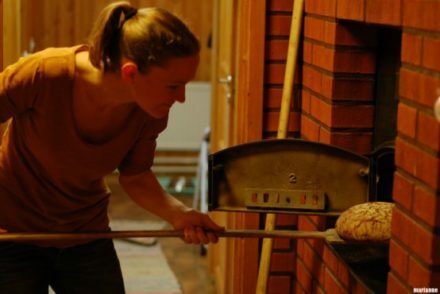 Bake in the upper part of the oven in 175°C/350°F for about 10 minutes until light golden brown. Baker’s tip! Don’t bake the cookies too long. 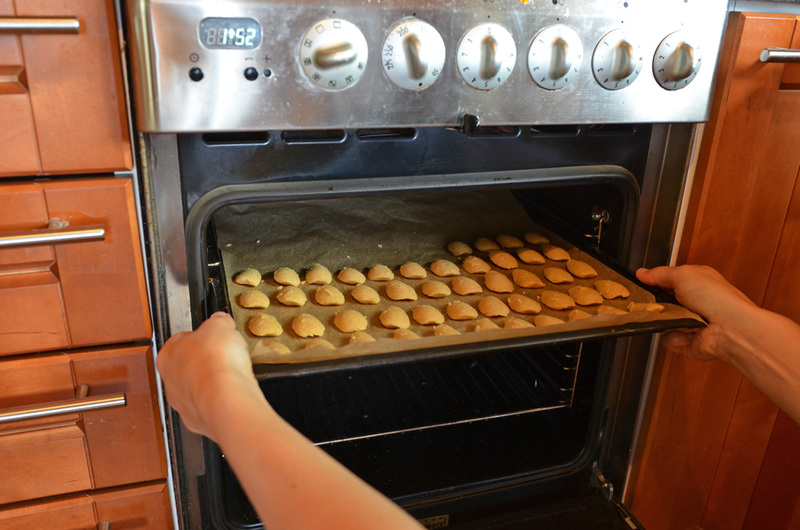 The first time I left the cookies very light brown, and they turned out to be really delicious. Another time I baked them just a bit longer (and more brown) and the flavor did not turn out as good as the first round. So watch the color and take the cookies out of the oven in time. 6. 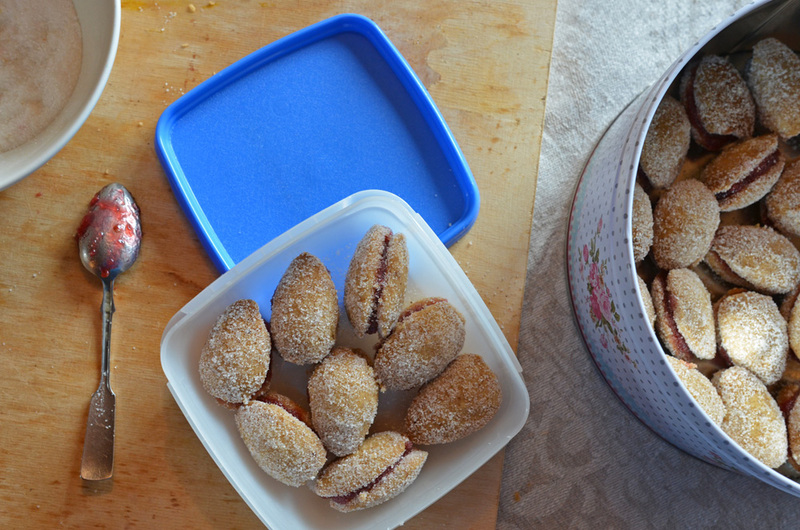 As the cookie halves have cooled down, spread marmalade between the halves, press them together and roll them in sugar (and taste one right away!). One reason why spoon cookies are popular is that you can freeze them without losing the delicious flavor. So if you want to surprise your guests by serving them something homemade, consider having spoon cookies in your freezer! You can add the sugar coating before freezing or roll them in sugar just before serving if you want to add some fresh touch to the cookies. 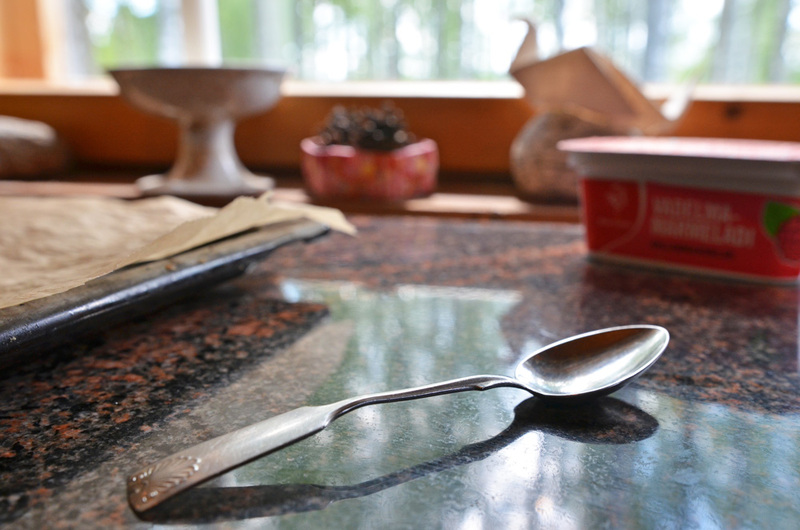 Spoon cookies melt pretty fast so you can let them melt in room temperature about 1 hour before serving. My husband eats sweet Finnish bun frozen and I’ve always wondered about it. I prefer warm buns myself, but once I tried “the frozen way” with spoon cookies and noticed that it actually works! SO, GIVE IT A TRY AND TASTE ALSO FROZEN SPOON COOKIES. You may like them too! What about our birthday party? Well, it went well. 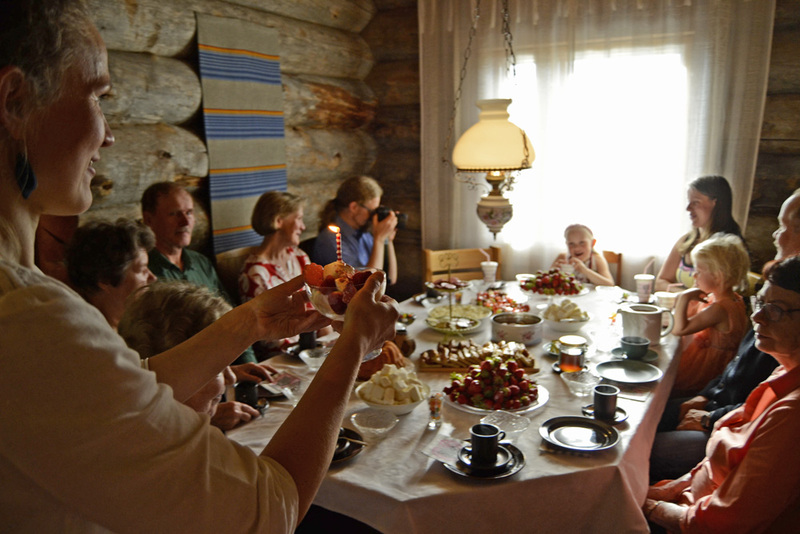 The summer weather was good and it was such happiness to see four generations celebrating our 7-year-old together! This time we didn’t bake the cake because birthday girl wanted to have strawberries with vanilla ice-cream instead. But we did bake the spoon cookies, and they were a big success. That’s why the following week I baked some more and put them into the freezer to wait for the next guests! Fancy something else sweet and traditional? 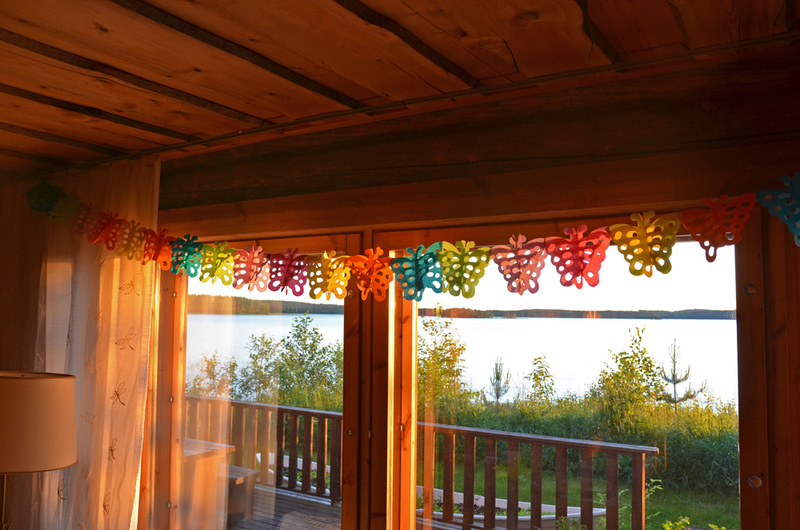 I recommend making another Finnish classics, “Korvapuustit”, Cinnamon rolls or rhubarb pie. 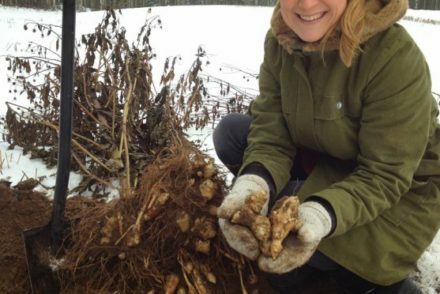 Here you find all other SaimaaLife Recipes.